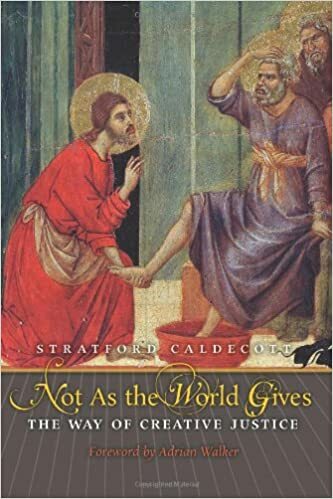 Today I was reading Not as the World Gives, the final book of the late Stratford Caldecott. Stratford has been a significant influence on my thought and theology in the last few years and I still mourn the fact that I never met him on this side of the veil. 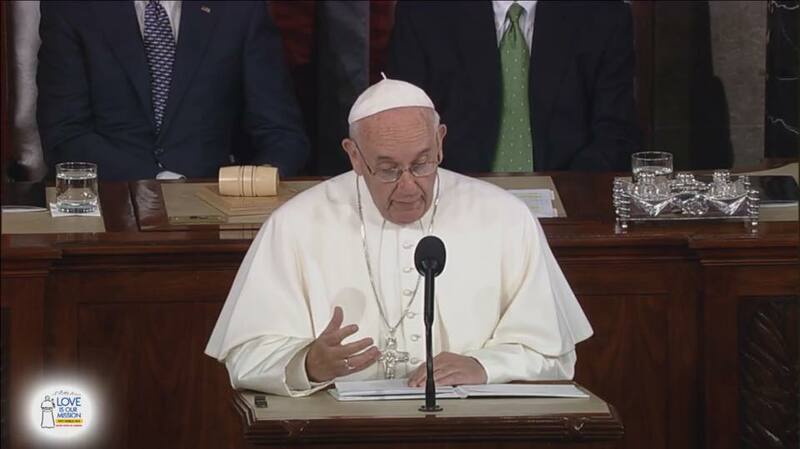 His last book is a treatment of justice or Catholic Social Teaching as broadly construed. In the chapter I was reading today, “Evangelization of Culture,” Caldecott is going through the changes necessary to present culture to bring more in line with a Christian understanding of culture and society. At the end of the chapter, Caldecott relates the importance of the family and of other religions, under the umbrella of family toward this end of the evangelization of the culture. It we were to build our relations with other religious traditions and communities on the analogy of the family, and work for collaboration and friendship primarily through civil society, rather than through political negotiation (which reduces even theology to politics), we would also create the optimum conditions for truth to reveal itself to all, since the truth is ultimately a “person” rather than an idea, and comes to us through persons, in the radiance and fragrance of those who share our life, those we can love (155). It is not easy, as I have argued elsewhere, simply to assert the truth of Christianity and the utter falsity of every other tradition, since each tradition is a tapestry rich in elements of goodness, beauty, and truth. I believe that wherever Christianity flatly contradicts another faith, it is Christianity that will turn out to be true––or truer––but I also believe that such moments of flat contradiction are fewer and harder to find than at first appearances, once the complexity of religious language and the difference of cultural context are taken fully into account (153). What Caldecott says here reminds me of two separate but related things. The first is C. S. Lewis. 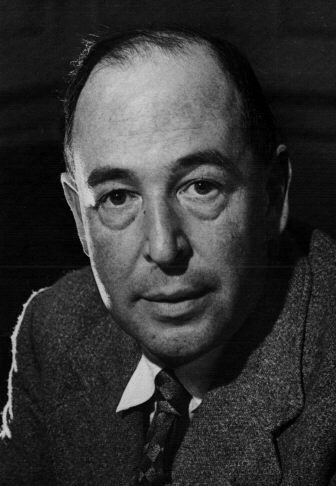 In order to convert to Christianity, Lewis had to be brought to the understanding that the myths he loved but believed to be nothing better than lies breathed through silver were not lies but truth. They were not the whole truth, but there was truth in them, truth is what they sought to communicate. Christianity then is the True myth, the myth, and the truth, from which all other myths derive whatever truthfulness they have. This would lead Lewis to suggest that it is the Christians who get to truly retain the truth of these myths, as well as of other religions, since it is only through Christianity that their truth can be fully understood. The second thing Caldecott, and now Lewis, remind me of is a conversation I had with a repairman who had come to fix our oven when we lived in England. As most conversations do, this one began somewhere and found its way to the “What do you do?” question. I had no need to ask him, since it was apparent by his presence in my house. But he duly asked the necessary question and I responded that I was a PhD student studying theology at the University. This led us to his marriage and the baptism of his child. He and his wife had had several conversations with the vicar of their parish church and he confided in her that he was uncertain about what he believed. He had, as the story often goes, been to church as a boy but had stopped going and now wasn’t sure of religion, though he had a pretty significant feeling that there was a God. The vicar suggested to him that all the world religions make up a mountain range which we can only see the back of. This led him to the understanding that all the world religions are essentially the same and so we must just pick the one that best suits us. Not even Caldecott would go this far. For the Christian Christ is at the center of all things. If no other point divides us from other religions then at least this one does (and I think others do as well). I suggested to him, therefore, that a better way to understand Christianity in the light of other religions is this. Of course there is truth in other religions. There must be. All humans, according to the Bible, are made in the image and likeness of God. 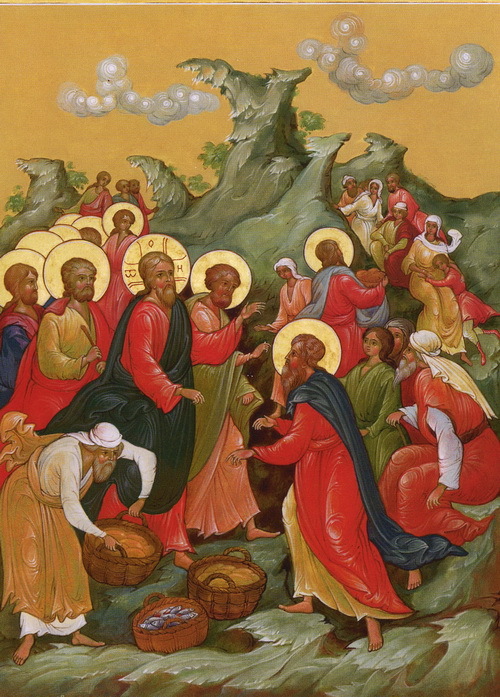 This means that to some extent we must participate in God, who is the source of all being. If we didn’t we wouldn’t exist. Even in our fallen state this is not totally lost to us. If it were, we would cease to exist. This means that as humans seek to understand their desire to worship, and as we create systems of worship, they will to greater and lesser adhere to truth, beauty, and goodness. I did not get into Aquinas’s controvertiblity of being, but I touched its edges as I tried to describe to him that other religions will always have aspects of the truth. However, I tried to emphasize that for there to be aspects of the truth in other religions, there must be a standard by which this is judged. This standard, as Caldecott says, is a person, Christ, the Son of God, second person of the Trinity, who is himself the Way, the Truth, and the Life. I will likely never know what the outcome of that conversation will be. All I can do is pray I did something good and commit this man to God. But the greater point to be drawn here, as Caldecott does, is this nature of truth sharing between Christianity and other religions means that we have allies in the fight against secularism. Of course we want also to convert our Muslim brethren as we do our atheist, but we must not forget that the we can fight beside the Muslim and not just against him (as we must do on certain points of theological and salvific importance). We can pray for our cooperators conversion as we fight together to evangelize the culture. And we can do this because Christ, who is Truth, is at work in what is true in Islam, Buddhism, Hinduism etc.